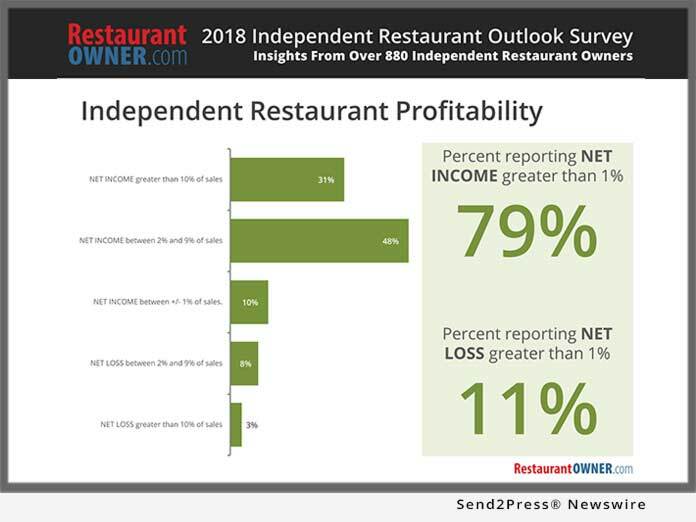 RestaurantOwner.com has released the report of their 2018 Independent Restaurant Outlook Survey. The report summarizes input gathered from over 880 independent restaurant owners and operators regarding their 2017 financial performance as well as their 2018 expectations. Independent restaurant operators are optimistic about 2018, and their optimism is trending upward. 65% of respondents indicated they are more optimistic about 2018 than they were about 2017. This is up from last year's survey results where only 56% of respondents felt more optimistic about 2017 compared to 2016.